Ah, the elusive Volta ball python. The request I get probably most often is if we have any Volta ball pythons for sale. Due to their immense popularity, and relative scarcity, there seems to be this peculiar mystique, and sometimes even controversy, surrounding these animals. I’d like to take a moment to give out a little bit of info about them to help dispel any myths, rumors or misconceptions, and I am hoping this will be a sort of guidebook for Volta ball pythons for those future googlers looking for information. 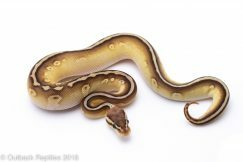 First things first: What is a Volta ball python? Specifically, Volta refers to a montane region in Eastern Ghana next to Lake Volta, along the border into Togo, which extends up into the north along the White Volta river. The ball pythons in this northern Volta area just routinely get larger than they do in other areas. We import thousands of animals every year and without fail, the absolute largest animals come from this region. Similar to how reticulated pythons from some areas get very large, over 20 ft, while the same species from a different island may only grow half as big. Regional variation in color, pattern, and of course size, is common among many species and it is true of Ball Pythons as well. But this leads me to another oft-discussed topic surrounding volta ball pythons – What is this “Sub Saharan” ball python that I’m hearing about? Is it the same thing? Aren’t all ball pythons found south of the Sahara Desert, making them ALL Sub Saharan ball pythons? The answer is both yes and no. So this area up in the northern Volta region is very close to the northern border, just south of the Sahara Desert – hence the term “Sub Saharan.” This area is actually more of a band extending from the northern Volta region in Ghana, through Togo and into Benin. The vast majority of these Volta animals are from the Volta area in Ghana, hence the name that stuck. Over the years, the term has gotten confused and bastardized because rather than understand that Sub Saharan in this context means literally the area at the southern edge of the Sahara desert, many people miss that and say “well all ball pythons are found south of the Sahara so they are all Sub Saharan.” I think another factor in the confusion and blending of the two terms is that “Volta Ball Python” sounds a lot more palatable to the Morph breeding crowd who is used to catchy names like “Shatter Ball Python” “Sentinel Ball Python” “Soul Sucker Ball Python” or whatever poison you may choose. But anyways, over the years the terms have gotten confused and mixed up and to the layman, “Volta ball python” has become a sort of blanket term for any large ball python, which is of course not true. Volta/Sub Saharan animals come from very specific regions and no trustworthy dealer will apply the term to an animal that they do not know was from (or descended from animals that were from) these regions. I tend to use the simpler term Volta more often simply to avoid confusion, as unfortunately it has become sort of a “common use is the correct use” thing, but keep in mind that this info about Voltas is more or less interchangeable with the broader term Sub Saharan. 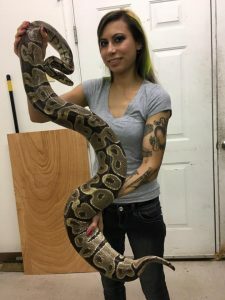 I have heard many times about “soandso who has a 6000 gram ball python, so there’s nothing special about these Volta ball pythons.” Nobody will dispute the fact that other large animals exist – they are super rare, but they absolutely do exist and they are no less exceptional and incredible than Voltas are. But the fact that a few extra large animals exist that are not Volta balls, does not have anything to do with whether these Volta ball pythons exist or not. The difference is that one or two exceptionally large animals exist here and there in different collections, while exceptional animals ROUTINELY come out of the exact same spot in Africa, year after year, season after season. A giant spider ball python is an oddity, while a repeatable, proven trend of giant animals all coming from a certain area routinely, is a real geographic size variation. These animals are, for whatever reason, genetically predisposed to becoming larger than other ball pythons. I have also heard some theories along the lines of food being more available in these regions, and that is why Voltas get bigger. 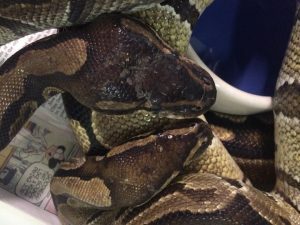 This does not make any sense coming from a captive ball python keeper who feeds their animals weekly or more. If simply being fed more food led to larger animals, then surely these 5000, 6000, 8000 gram animals would be everywhere as we all know that power feeding breeders are not shy when it comes to offering more food to their animals. More food will certainly help an animal grow more quickly, but it will not necessarily have a huge impact on the mature, “full” size of that animal. If an animal is genetically programmed to get around 3000 grams, powerfeeding may get it there quicker but it will not really get much bigger than that. If more food meant larger animals, then our ball pythons would all look like burmese pythons with the amount of food they get. So now that we have a little history and myth busting out of the way, what are the actual characteristics of Volta/Sub Saharan ball pythons? Volta balls tend to get very large compared to most other ball pythons. We have imported dozens and dozens of them over 4000 grams, and have routinely gotten in 5000+ gram animals. 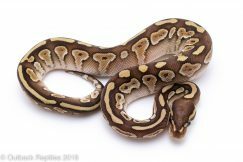 We have brought in several in the 6000-8000 gram range over the years but of course even among Volta / Sub Saharan ball pythons this is extremely rare. These large animals also get HUGE heads, which is one thing that makes it painfully obvious when comparing a Volta to a “normal” animal from another region. When placed side by side, a small 3000 gram Volta will have a much much larger and wider head compared to say, a big 3000 gram animal from another region. Same size, different head proportion. Another common characteristic, and perhaps what makes these animals so alluring to breeders, is the tendency for Volta females to lay exceptionally large clutches of eggs. 16+ is not uncommon and we have gotten many clutches upwards of 18 to 20 eggs from a single female. 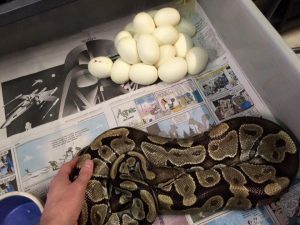 The babies usually hatch quite large as well – I’ve seen plenty of baby Voltas hatch over 80 grams out of the egg, compared to your average baby ball python that is more commonly in the 60 gram range or so. Obviously anybody looking to maximize their morph production could use genetics like that added into their collection. Now that we got the history lesson out of the way, I’m sure everybody wants to know – when will we have Volta ball pythons for sale? We typically import a lot of adult ball pythons every year in mid to late fall, and early winter. This is when Gravid ball pythons come in as well as this is their season in Africa. 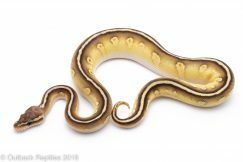 SO I always tell people to keep an eye on the site around November/December and I will list all our available Volta ball pythons for sale on the website, facebook, etc as soon as they are available. 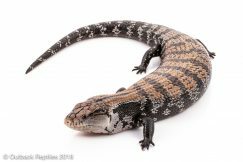 They sell for about $350-500 each depending on size, if gravid or not, appearance, etc. and I sell out very quickly every year at that price. Thanks for reading and I hope this clears up a bit of the mystery surrounding these animals. I will try to update and edit this article as I realize things I left out, typos I made, etc. 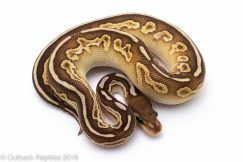 This fall should be a great season for Volta ball pythons, so stay tuned here on the website and on the facebook page as well where I will post updates and volta / sub saharan ball pythons for sale as the season progresses.